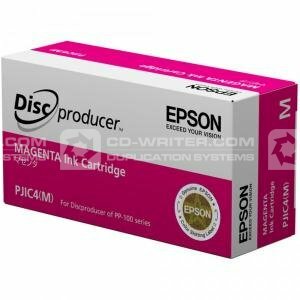 Epson Discproducer PP-100 Ink - Magenta. We have prepared this guide to help you estimate the cost of printing via this printer. These are estimated costs only. Based on the use of the colour ink set. Individual designs, setting, different printable media all make the costs of disc printing quite variable. Epson . Discproducer . PP-100 . Ink . - . Magenta . EPSON .